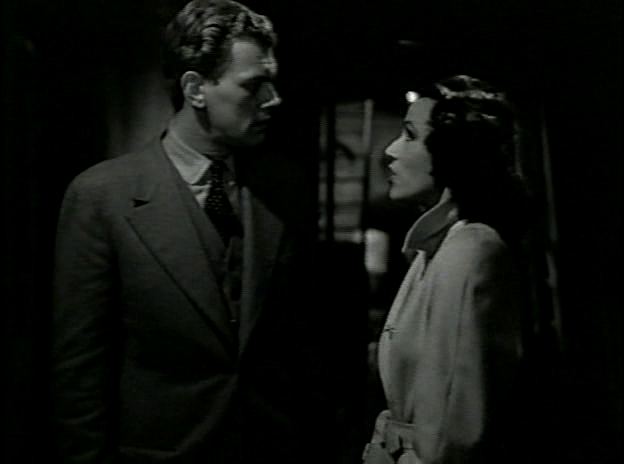 During World War II, a ballistics expert (Joseph Cotten) in Turkey is separated from his wife (Ruth Warrick) and taken by a business representative (Everett Sloane) to a nightclub, where he is nearly killed. 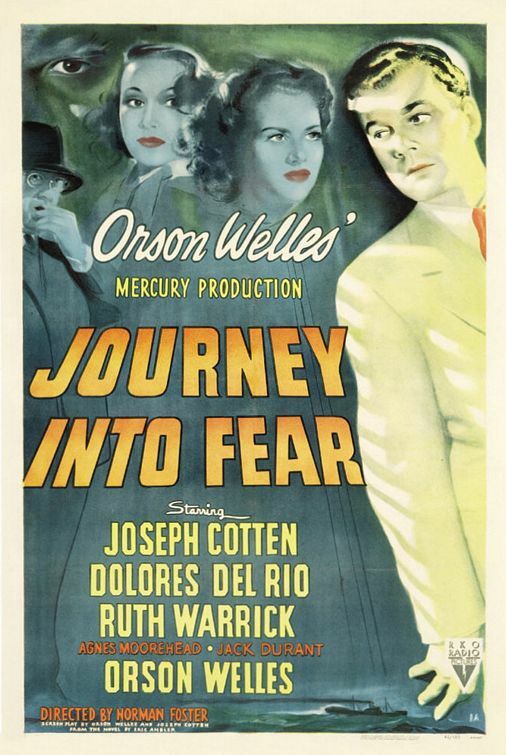 A Turkish colonel (Orson Welles) arranges for him to travel home by steamer — but when his would-be assassin (Jack Moss) appears to be stalking him on-board the ship, Cotten relies on the friendship of a beautiful nightclub dancer (Dolores Del Rio) to help him make sense of his nightmarish situation. 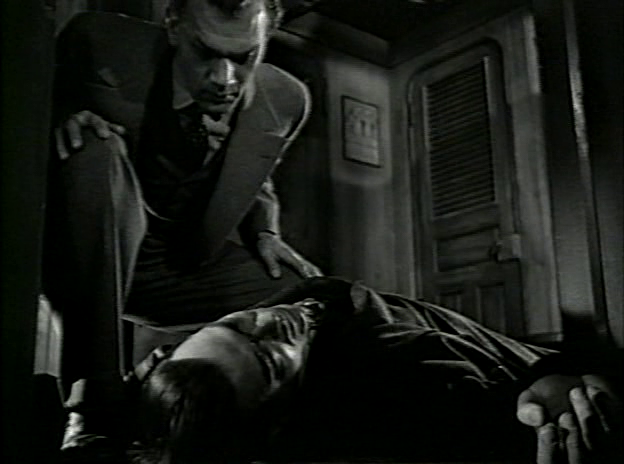 Orson Welles was reportedly deeply unhappy with the results of this adaptation of Eric Ambler’s spy-novel, which he designed, produced, and co-scripted (with Cotten), but which got severely butchered by RKO during editing. It’s easy to understand why Welles was so upset: the footage that’s here (just 69 minutes) is atmospheric, creatively filmed (by director Norman Foster and DP Karl Struss), and filled with quirky characters and dialogue — but the whirlwind tale needs much more context to sufficiently flesh it out. 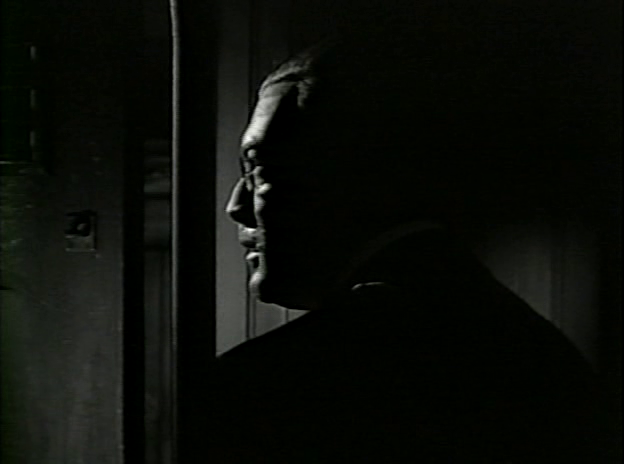 The existing film is essentially a Kafka-esque living-nightmare — straightforward to follow, but in a way that will have your head spinning with endless unanswered questions: Was Cotten’s life jeopardized from the get-go, or did Sloane trigger a domino effect, and if so, to what point? Is this meant to be a “realistic” spy thriller, or an allegorical tale about the insanity of war? 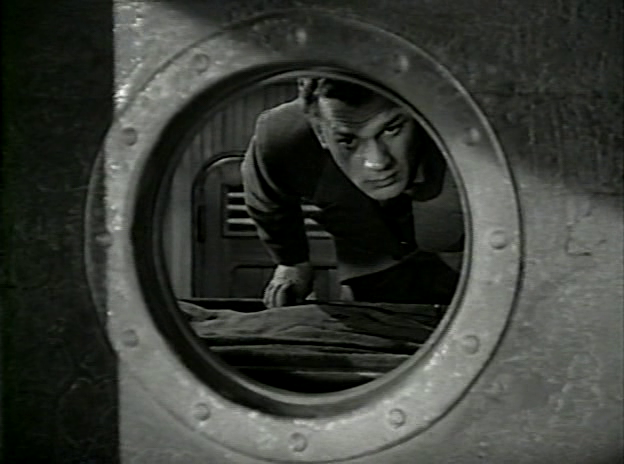 Is Cotten’s marriage really at risk, or was his voice-over added to bring “romantic tension” to the story? Fans of Welles’ distinctive work will certainly be curious to check out this interesting film, but be prepared for frustration at what-might-have-been. No, though it’s recommended for its historical and cinematic interest. Listed as a Sleeper in the back of Peary’s book. First viewing. A once-must, for its place in cinema history. I seem to recall that, in the past, I have postponed (shall we say) my viewing of this simply because of its reputation for being butchered. Who really wants to sit through something that has been hacked to pieces and remains a shadow of its former self?…or so I thought. What succeeds most is the overall feel of the film and a sustained atmosphere of impending doom. The progression we *do* get builds to a rather thrilling conclusion – which includes a welcome twist as well. I rather enjoyed the viewing and the performances. There’s more than enough here to make this a satisfying (and most likely) once-and-done deal.